Once again, LUSH has dropped another outstanding limited edition collection designed for joyful gifting for that special someone . . . YO MAMA. Or, you know, whoever – I’m not getting prescriptive about who to give these goodies to. Treat yo’self, why not. I’ll definitely be fighting with my daughter (and sole reason I get to claim special treatment on the second Sunday in May) for exclusive rights of the Scrubbee body butter bar. I mean, look at this thing, it’s adorable. So is the bee. Not only does it a) look extremely cute, b) smell delicious and c) appear to be made from white chocolate, it’s also an exfoliating body bar – made from cocoa butter (so kind of chocolatey), ground coconut shells and ground almonds. BEE-YOU-TIFUL. Definitely for grown-ups. Sorry, bubby. Yoink. 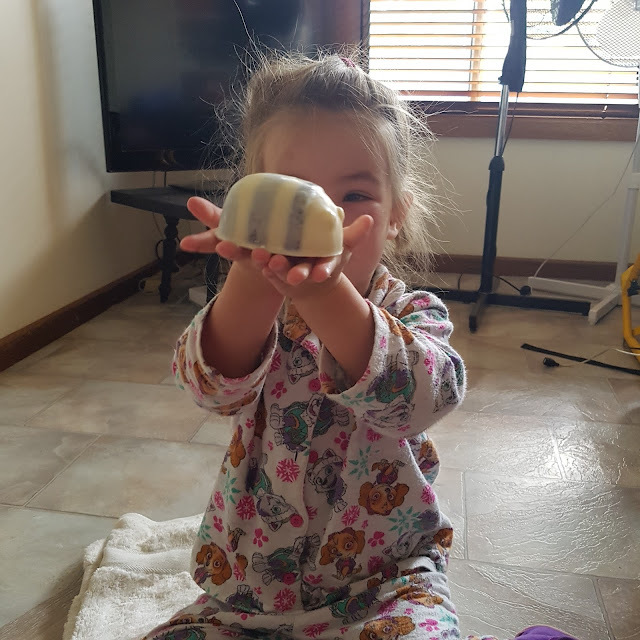 Now on the subject of rampaging cuteness, check out the Baa Bar bubble bar. I KNOOWWWW, I might have to confiscate this one as well although the comforting, soothing and sleep-encouraging properties sound like the perfect pre-bed bath time ingredient for a four year old. Ingredients include lavender, rose, ylang ylang . . . all encased in fluffy soy milk fleece. Don’t be sheepish! 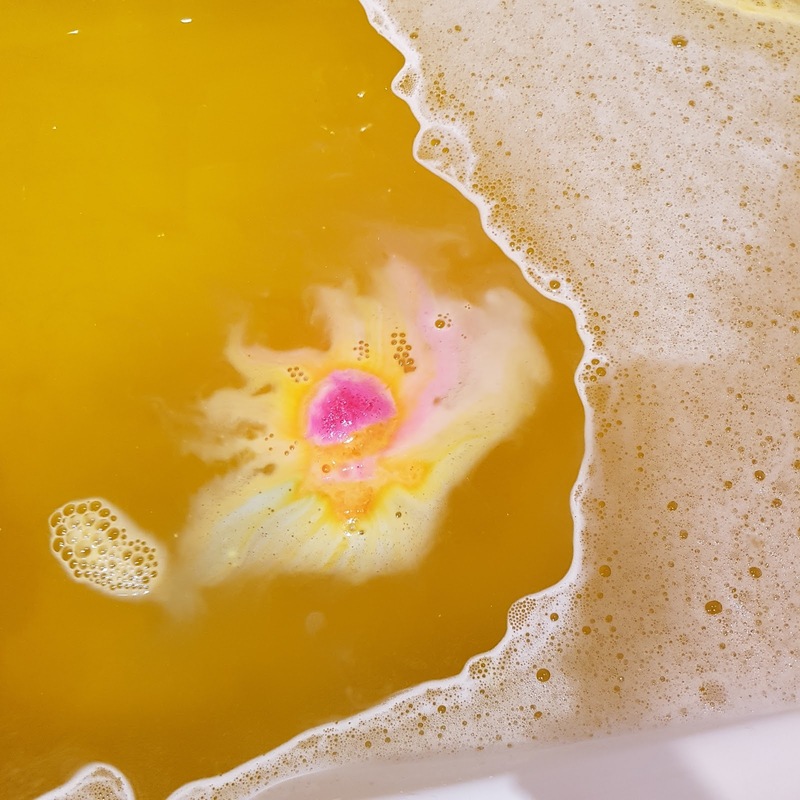 For something a bit more invigorating, go no further than a couple of LUSH’s famous bath bombs which are, indeed, the capital M in Wingdings. The MUM bath bomb available in both pink and yellow text is a citrus delight with lemon and orange oils chilling calmly alongside rose for a sweet treat, where the Ups-A-Daisy is a reversible flower of power, delivering a jazzy riot of colours to the bath and an uplifting scent of orange, rose and rosewood. Here is what was left of the Ups-A-Daisy which was enthusiastically added to the bath prior to my knowledge. Keep it sweet on the lips with the delicious Honey lip scrub featuring honey, as the name suggests, with a hint of mint. I presented my actual Mum with this and she was very happy about it. 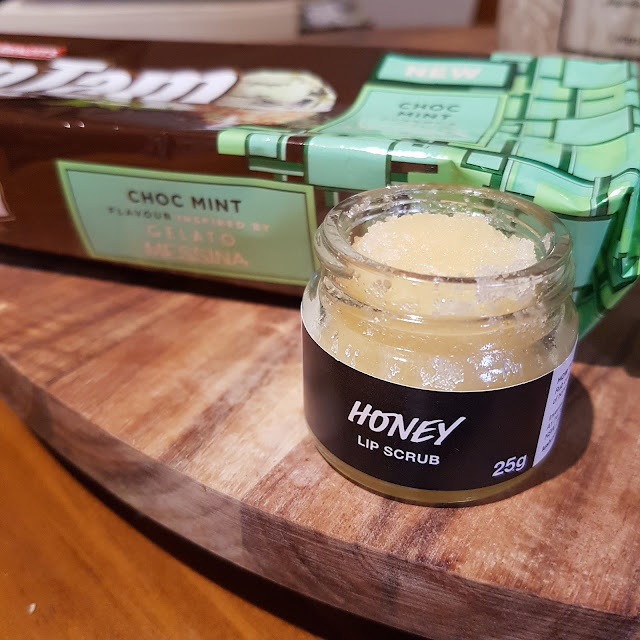 You cannot go past a LUSH lip scrub for keeping your lips in tip top condition, especially in the drying winter months. Does your Mum prefer custard or jelly? In the immortal words of the Old El Paso girl – ¿Porque no los dos? (For the record though, I am custard all the way). This Pink Custard shower jelly is a pleasing shade of pink and brings a whole of lot of wobbly fun to bathing. It is full of tonka and lavender goodness that makes it a pleasure to get jiggly wid it. 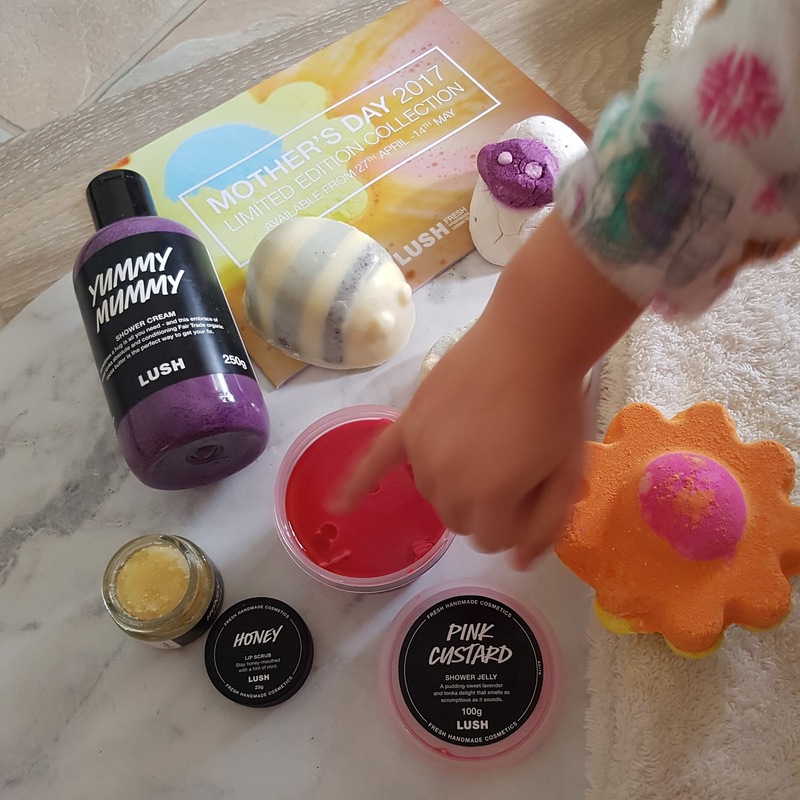 LUSH shower creams are a HG item for a lot of people and the Yummy Mummy edition is worth checking out. Orange (although it's purple), geranium and cocoa butter combine to embrace your bod with sweetly-scented goodness. 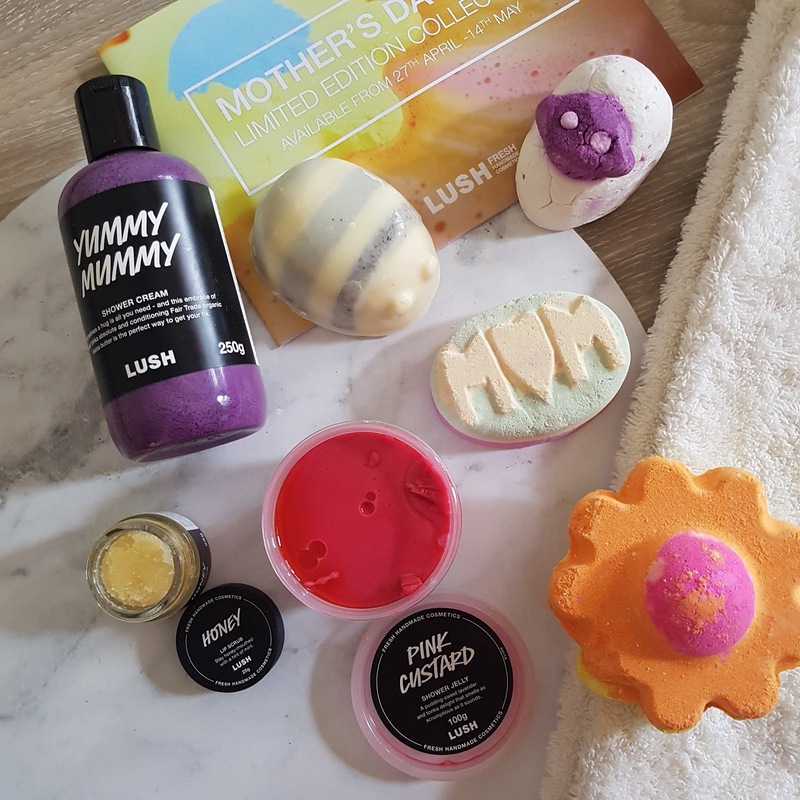 Is your Mum a LUSHY? Got any plans for the day? 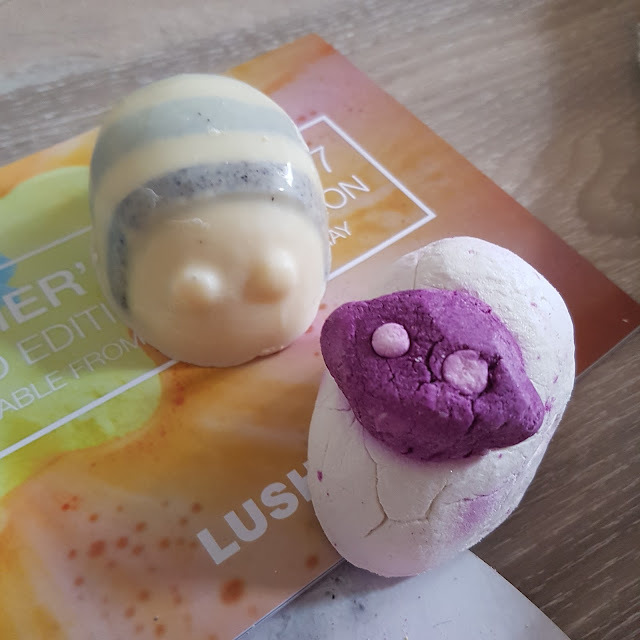 I was kindly gifted this pack from LUSH for review. All images, opinions and daughters are my own and authentic. For more information, please see my PR & Media policy.